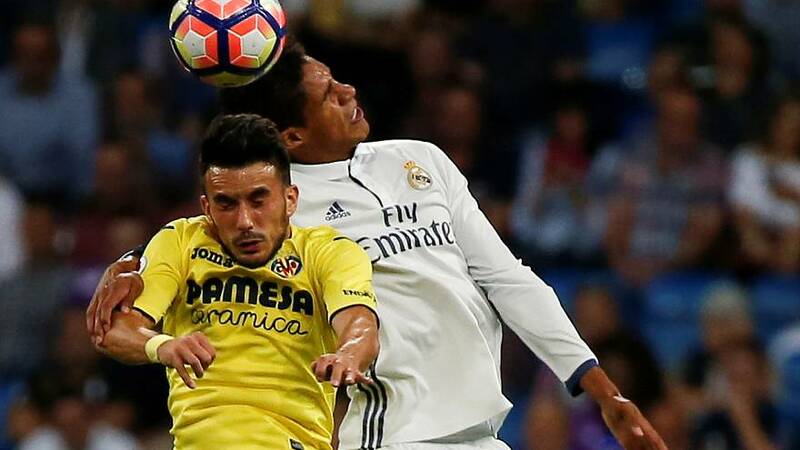 Real Madrid missed the chance to break the La Liga record with 17 consecutive wins when they were held to a one all draw by Villarreal on Wednesday. Coach Zinedine Zidane and his men were aiming to surpass Barcelona’s 2011 mark of 16 straight victories. But Villarreal were reading from another script. They went ahead in first-half injury time when Bruno Soriano scored a penalty after Sergio Ramos handled in the area. Ramos made amends three minutes after the restart heading home the equalizer to hand his side a share of the spoils. Reigning champions Barcelona had the chance to close the gap on table-topping Real to one point but were also held to one all draw with fellow title contenders Atletico Madrid. Ivan Rakitic hit the opener for Barca while Angel Correa leveled just after the hour mark. The results leave Real on 13 points after five league matches, Sevilla – who beat Real Betis on Tuesday – two points adrift in second while Barca are third on 10 points.